Calling all parents – here are our top tips for looking after the skin of your little – and not so little – ones! According to midwife and baby skincare consultant Sharon Trotter when it comes to baby skincare, less is more. "Recent research suggests that it is safer to bath your baby in plain water for at least the first month of life (longer in premature infants). 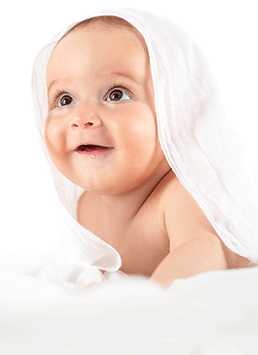 During this time your baby's skin matures and develops its own natural protective barrier. If your newborn baby has skin problems, for example milk spots, dry patches, or redness, you may need to be patient: these can take up to 12 weeks to clear. "By following this advice you will give your baby the best possible start in life. Bubble baths and shampoos containing harsh detergents such as sulphates should be avoided for the first year as they can be drying. Opt for natural or organic options formulated for sensitive skin without irritating preservatives or artificial fragrances. Read the labels of all products and avoid products containing sulphates (SLS and SLES), parabens, phthalates, artificial colours and perfumes. "Use a thin layer of barrier cream on the nappy area to help protect against the development of nappy rash - this cream should ideally be free from preservatives, colours, perfumes, antiseptics, and clinically proven to be effective in the treatment of nappy rash. Massage oils should be vegetable-based and free from mineral oils, perfume and colours. Look for the logo of a trusted certification standard on the pack and stick to one favoured range (so introducing fewer ingredients than if you use a variety of baby ranges)." "Toddlers' skin can get grubby and spotty, so introduce a mini skincare routine from a young age using gentle and organic face washes," says Marili Aitken, director and founder of Marili Skincare: an organic and natural children's skincare range (www.mariliskincare.com). 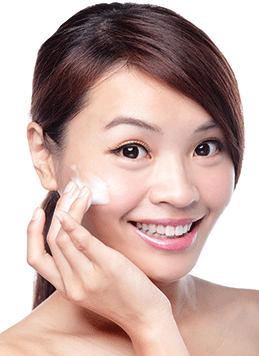 "A moisturising cleanser is ideal as it sorts out the spots, but also nourishes the skin. I prefer to use two-in-one hair and body washes as it's economical and makes bath time easier - use conditioner if needed. Avoid products containing parabens, Sodium Lauryl Sulphate and Methylisothiazolinone (MI), mineral oils, petrochemicals, PEGs and phthalates. Getting children into the habit of washing their faces and taking care of their skin is worth encouraging at any age. Toddlers just need their faces washing a few times a week. Once children start reaching puberty (10/11 years), encourage daily face-washing with a moisturising cleanser and an additional light moisturiser if needed in the winter months." "One thing is for sure, when kids hit the teenage years all that matters to them is that they do not take your recommendations," says natural beauty expert and mother-of-four Janey Lee Grace (www.imperfectlynatural.com). "Friends are all-important and being in line with current trends and famous brands is key. Forget trying to convince them about the merits of natural versus chemical or offering for them to use a bit of your prized organic skincare - trust me on this one - it will be eschewed in favour of something that costs a couple of quid and is chock full of synthetic chemicals. So what to do? Well firstly it starts with diet. If you can encourage them to ditch the fizzy drinks and sugar, drink fresh juices and smoothies for 10 days they will see the difference in their skin. Then, explain that the before-mentioned scary chemical brands are not welcome in the house because you have a sensitivity and also care about the planet (interestingly teenagers often buy the eco angle before they do their own health). Explain that those chemicals create a kind of toxic soup and when washed off in the shower can, over time, affect the eco-system. Most of this may well fall on deaf ears so my best tip of all is to bide your time - then bring into the house a natural brand aimed at teens, especially anything promising to clear spots. Leave it in the bathroom, saying nonchalantly: 'While you're into trying all kinds of products try this one - it's not one I use but you never know,' thereby passing on the message that if Mum doesn't use it, it must be cool. Stealth is the word!" "Encourage children to drink water and eat lots of fresh fruit and veg," says Marili Aitken. "Limit junk food like crisps and chocolates and make sure they get exercise by participating in some school sport. We also need at least 20 minutes a day in the sun without a sun cream to top up our vitamin D levels as so many of us are deficient. I use a vitamin D oral spray for my kids and I also give them chewy multivitamin and omega-6 gums which they fight over!" High in the Chilean Andes grows a wild rose, Rosa affinis Rubiginosa, which is better known as Rosa mosqueta. The rosehip seed oil has been valued for its healing and regenerative properties for centuries. Rosa mosqueta is 100 per cent natural and is ideal for use on most children's skin. The oil is rich in essential fatty acids – omega-6, omega-3 and omega-9. It is always advisable to do a 'test patch' when using new skincare products on children. Apply a single drop to the back of the hand or elbow and leave for 24 hours to ensure that there is no allergic reaction.